Google Chrome has had several bugs reported, and one of them, the err_spdy_protocol_error message, relates to being unable to access a webpage. You will see the message This webpage is not available along with the err_spdy_protocol_error message. There are several reasons for this error occurring, and therefore also several ways to overcome it. Here are seven methods you can use, at least one of which is likely to resolve the problem. 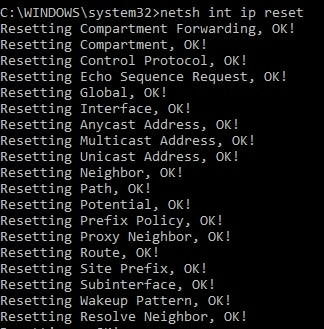 Note: You can also check our guide on fixes to solve the err_connection_reset error which is a network related error caused by any unexpected changes in your network settings or a problematic web server. 3. Is Your Chrome Version the Latest? Let us first understand where you might encounter this error. This error is related to the Google Chrome browser. If you are using any different web browser like Firefox, Safari or Microsoft Edge then you will not get this error. Not all websites are affected by this error. Only those related to Google – YouTube, Gmail, Blogger and other will be affected. Some users have also reported that this error has also affected other non-Google websites. The SPDY (stands for Speedy) is Chrome’s protocol designed security of the web pages and to enhance the loading speed of the page. But the error occurs because Google has stooped its support to SPDY protocol. 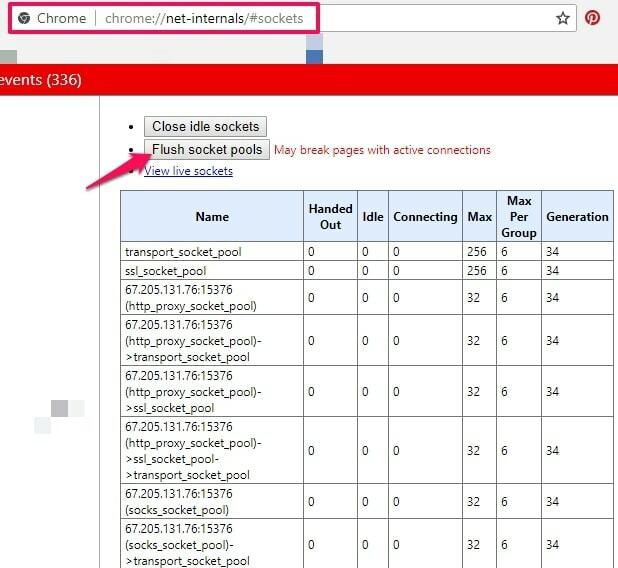 When you first come across the err_spdy_protocol_error the quickest way to fix it is simply to close the Chrome browser and reboot it. If this works then great – it may just have saved you a great deal of time and money. Doing this often solves this issue – and if it doesn’t work, then you have only lost a few minutes. Method 2: Is Your Chrome Version the Latest? After that, and before anything else, make sure that you are running the latest version of Chrome. Like any other browser, Chrome is subject to updates as technology and the internet developed. Look to the upper right corner in Chrome and you should see three dots. Click on them, select ‘Help‘ > ‘About Google Chrome‘. If not, then you will see an Update button. Click on that, and your version of Google Chrome will be updated to the latest version. Try it again and you may find your error message no longer appears. Is it does, then you will need to apply the appropriate chrome err_spdy_protocol_error fix. Restart Chrome. If the problem has been solved, then good. If not, then you have to go on to the next step. 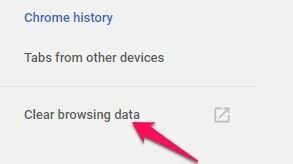 When in Chrome, press Ctrl + H- This opens your browsing history. Leave the bottom two unchecked. 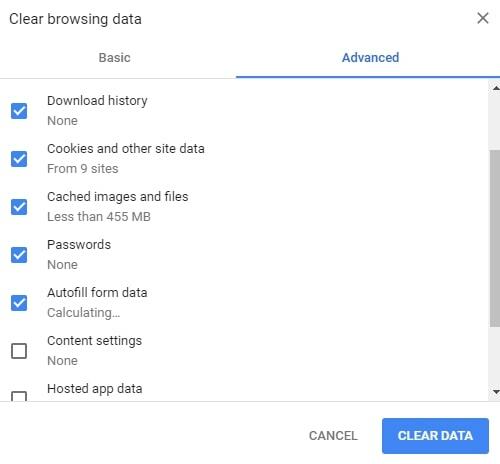 Then click on Clear browsing data then wait until the process has completed. Finally, shut down Chrome and restart your PC. Check that error message has gone. Now reboot to make the changes. This often appears to fix the err_spdy_protocol_error. There is an official Google Chrome cleanup tool that can help you fix a number of issues with Chrome. It can be used to scan and remove software you don’t think is useful – and other issues. Simply click on the link above and run it as recommended. You may want to run this earlier, but if you do you might remove some software you want to keep (you can always download it again later of course!) Having run it, check that that the chrome err_spdy_protocol_error has been fixed. If you are experiencing the err_spdy_protocol_error for specific sites only, such as Reddit, then it might be that these sites are excluding you. Test this by using the Incognito mode to access them. To do this, go to the Chrome Menu -> New incognito window or failing that simply use the shortcut Ctrl+Shift+N. This err_spdy_protocol_error fix certainly works for some people. It should also work for social sites such as Tumblr, Facebook, and others. The above seven ways to fix an err_spdy_protocol_error are easy to use if you come across this error message when using the Chrome search engine. All you need to know is how to access the relevant folders on your computer or laptop. You don’t need to understand the technology involved – simply follow the instructions and one of these fixes should work for you. 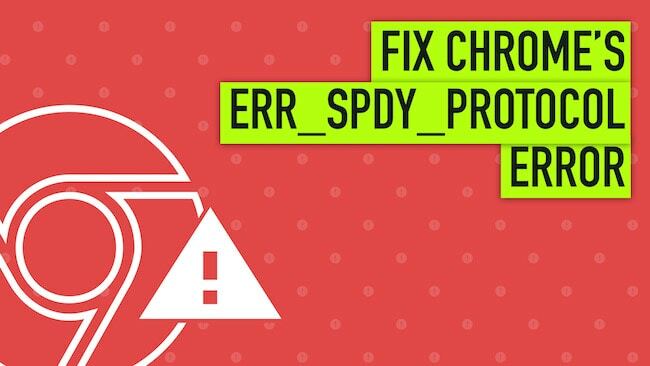 The err_spdy_protocol_error message is fairly common, and the above methods of fixing it have all been used successfully depending on the reason for the error. I am suffering from this error. Thanks for this article. It is very helpful.